There were many countries in the 50s and 60s that are no more now or they exist under different names. 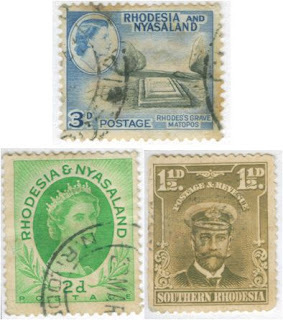 The present day Zimbabwe and Zambia are two of such countries that were once associated with the British and were called Rhodesia and referred to as Northern Rhodesia, that included the British protectorate of Northern Rhodesia and Nyasaland, besides the Southern Rhodesia. The Federation of Rhodesia and Nyasaland was also known as Central African Federation (CAF) that existed from 1953 to the end of 1963. The Rhodesia and Nyasaland issued its own stamps, while the Southern Rhodesia issued its separate stamps as shown above. In 1964, the Northern Rhodesia proclaimed independence and renamed itself as Zambia. 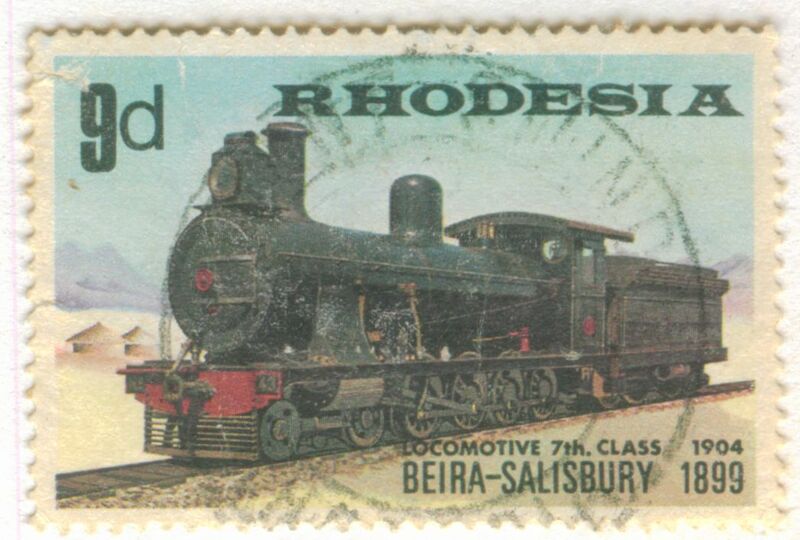 Since Northern Rhodesia became extinct, the Southern Rhodesia renamed itself simply Rhodesia. The following stamp of Rhodesia is of this period. The status quo continued till 1979, when Rhodesia again fell back to the colonial rule in 1980 and was continued to be called Southern Rhodesia by the British, as for the British, they had never recognized the independent status of Rhodesia. However, the Rhodesian always wanted an independent status and in April 1980 became an independent state of Republic of Zimbabwe. The above stamps are from my stamp collection and are just a memory of the bygone days now.